First up were the even ages on 29 October. 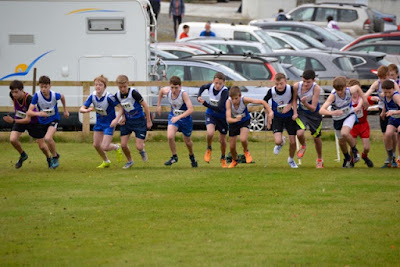 Conditions were near perfect and we were treated to some first class athletics. 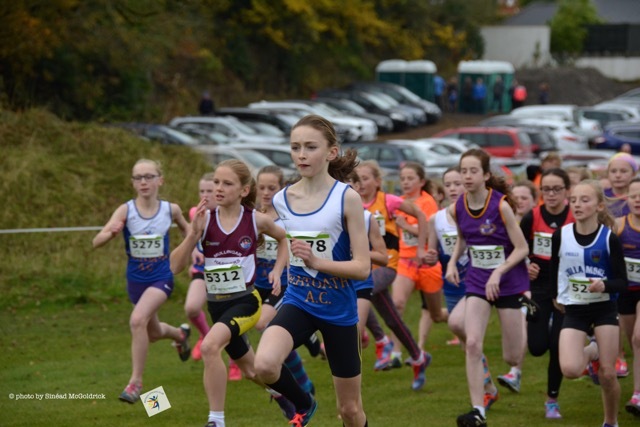 Sophie Quinn had a gun to tape win in the under 12 girls and she was brilliantly supported by Laura Kelly, Aisling Strafford. 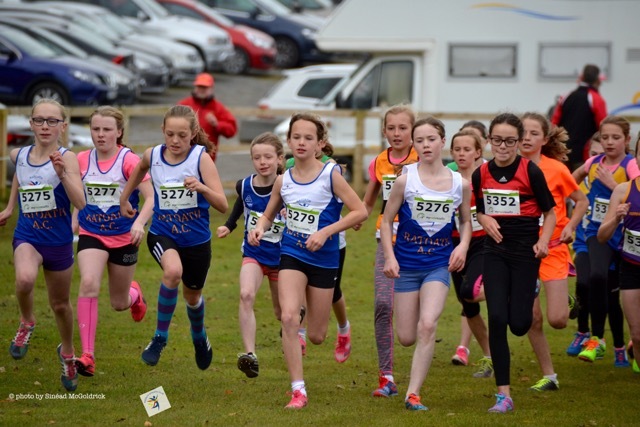 Hannah Keogh, Amy Forde and Lilly Nannery (love those pink stockings Lily) to take silver in both the club and county team titles. Aimee Doherty was not deterred running up an age in the u 14 girls and was in the leading bunch from the off. 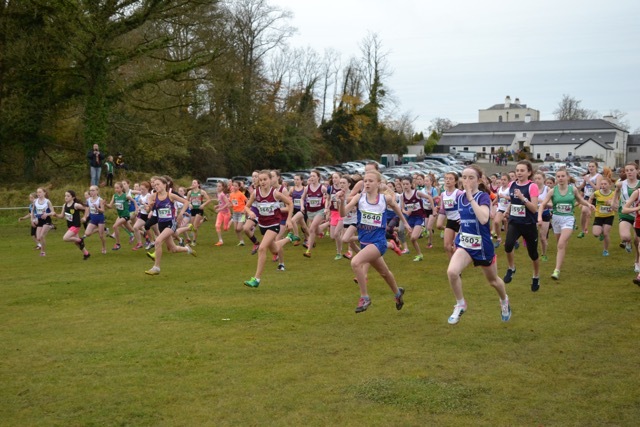 Aimee finished 8th with Amelia Campbell, Laura Smith, Eabha Toole and Ciara WalshSubiran all in close attendance with the club team placing 5th and the county, 3rd. 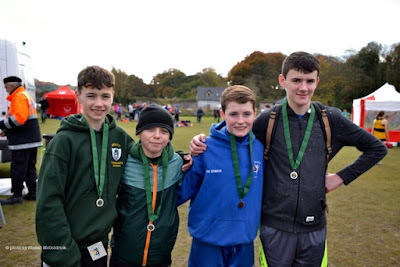 Track specialist, Karen Hayes was our sole representative in the u 16 girls where she battled hard all the way to take 25th with the Meath county team 4th. Our golden oldies in the girls u 18 (Sorry Aine and Niamh) lived up to their name by helping Meath win the county team gold with Aine O Connor 16th and Niamh Gannon 35th. Its fantastic to have some young women representing the club in this age category. 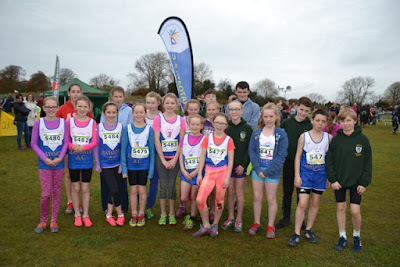 Our under 11 girls squad of Sarah Forde, Cara O Sullivan, Kate Rafferty, Ciara Coroner, Lauren Fewer, Niamh Murphy and Caoimhe Fitzsimons all ran mighty races with the club team finishing 4th and Meath also placing 4th county team. There were high expectations for our u 13 girls team and they did not disappoint as they edged out Mullingar Harriers after a titanic battle for the club team title. 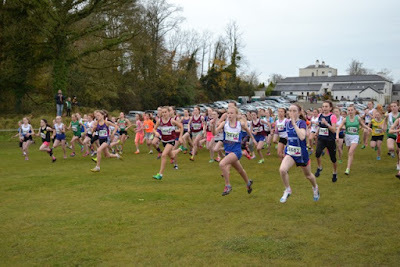 Amelia Cambpell (getting better with every race), Aimee Doherty, Laura Smith, Laura Kelly, Eabha Toole, Emily Heather and Ciara WalshSubiran battled all the way for a hard earned victory. 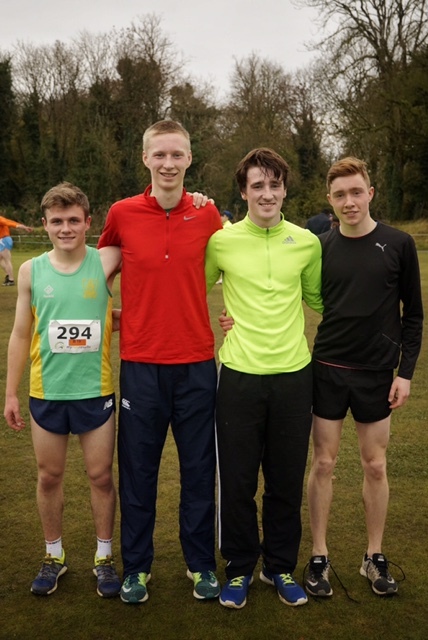 Meath were second in the county team. 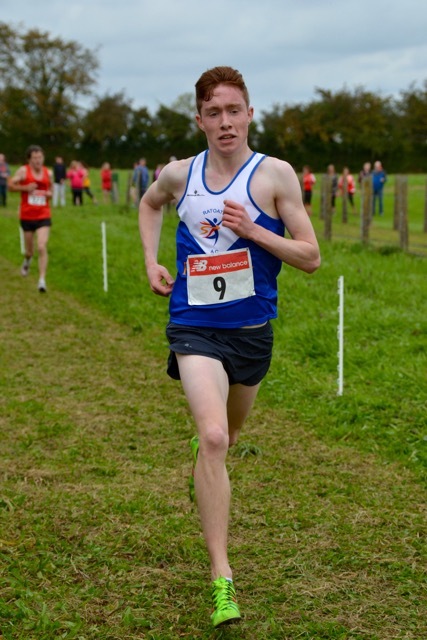 Best of luck to all those that have qualified for the national championships over the next couple of weeks.